During these hot summer months my proud Jerusalemite friends constantly complain about the heat and humidity in Tel Aviv. While I usually complain about the cold of Jerusalem, I have to admit that during the summer peaks Jerusalem's higher altitude does provide you with a soothing breeze that you will simply not encounter in Tel Aviv. 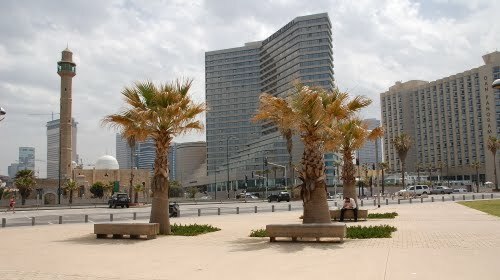 And yet, nothing can substitute for the sea and the beaches, which stretch along the whole of Tel Aviv's Western side. Doing a Tel Aviv tour by walking along the Tayelet, the beach promenade, from North to South will get you a glimpse of the heterogeneity that makes up today's Tel Aviv. Starting with secluded and gender segregated beaches for Orthodox Jews in the North you'll pass through Hilton Beach, the favourite shore of the city's gay crowd until you reach Jaffa in the South where you'll find Palestinian families enjoying barbecues on the weekends. As accessible as today's Tel Aviv may seem, the layers of history underneath the surface of this young city are more difficult to uncover. Tel Aviv was not built on sand, as it is still commonly claimed by the Zionist narrative. In fact, Tel Aviv sits on several villages that were destroyed during what is referred to as the War of Independence of 1948, as well as during its aftermath. The different governments together with the Tel Aviv municipality, urban planners, architects and others did a good job in concealing the traces of what used to be where the White City now shines. Are those fortunate guests of the Hilton Hotel or said gay crowd enjoying the beach life aware of the fact that the foundations of the hotel were built on top of the old Muslim cemetery Abdel Nabi? If you walk further South along the beach and towards Jaffa, you will find some more visible traces of the past. Opposite the abandoned Dolphinarium and its adjacent night club, which in 2001 became the site of one of the most tragic suicide attacks during the Second Intifada, you will encounter an isolated mosque. It sits in between a big bus station next to the buzzing Carmel market and a park, which was named after the forces that captured Jaffa in 1948. This mosque together with another building further down the beach, which now houses the museum of the Etzel, a Zionist paramilitary group also heavily involved in the fighting of 1948, constitute the only clues of what used to be the busy neighbourhood of Manshiyyah, established at the end of the 1870s by Egyptian soldiers who came to Jaffa with Ibrahim Pasha in the 1830s. The mosque was built by and named after the Ottoman governor Hassan Beq, who set it up in 1915/1916 in order to prevent the expansion of the emerging Jewish neighbourhoods, which would eventually form the city of Tel Aviv, and to secure space for Jaffa's northward expansion. Manshiyyah used to be a relatively mixed neighbourhood and the relationships between Jews and Arabs were reported to be friendly and neighbourly. Once the political tension rose, Manshiyyah as a borderzone between Jaffa and Tel Aviv became a site of conflict and fighting and many riots and clashes started out in this neighbourhood. 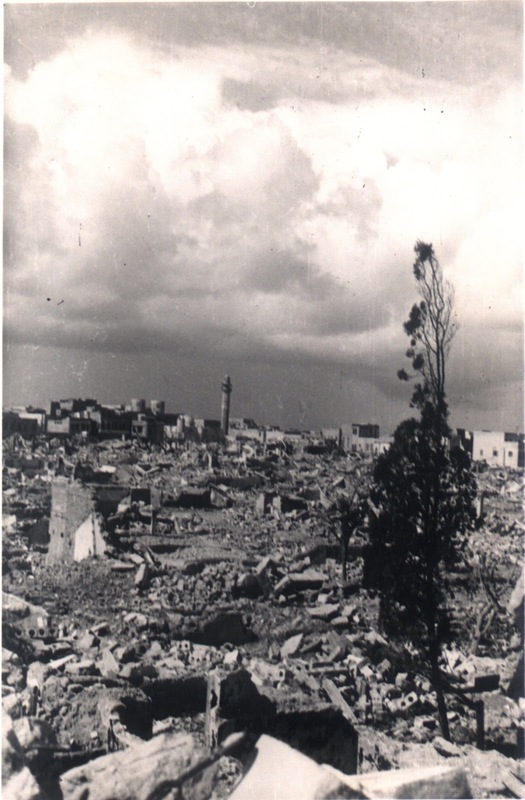 At the end of April 1948, after several days of fighting, Manshiyyah was captured by the above mentioned Etzel and its inhabitants fled to Jordan, Gaza, Egypt and nearby Jaffa. 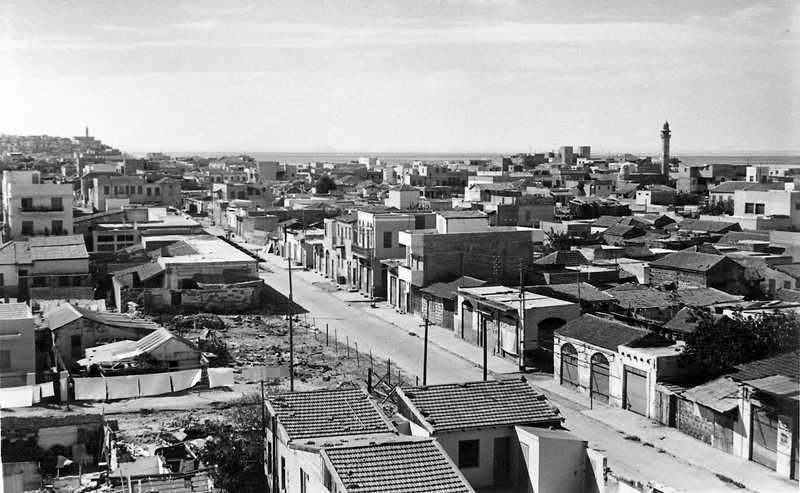 The original plan of the Tel Aviv municipality was to destroy the whole neighbourhood right after the fighting had ended in May 1948. Yet as early as June 1948, newly arrived Jewish immigrants moved into the abandoned homes and Manshiyyah rapidly turned into a poor neighbourhood to the South of Tel Aviv. Finally in the 1960s, after the municipality’s intentional indifference to the increasingly worsening conditions in the neighbourhood, which forced most of the residents to leave, Manshiyyah was completely demolished. What used to be a busy neighbourhood, became a playing field for urban planners, architects and investors. Obviously, the remnants of the deserted mosque must have constituted a thorn in the flesh of the system, yet different plans to convert the space into a shopping mall failed and eventually the religious space was renovated and returned to being used as a site for prayer. If you continue your walk from the Dolphinarium opposite the mosque further down the beach promenade towards the South, you will cross through a park, named after Charles Clore, a Jewish British philanthropist. The grass dunes that you will be walking on actually conceal the rubble that remained from the demolition of the neighbourhood, which were pushed towards the seaside. Green Olive Tours is currently working on establishing a new tour which will expand the combined Jaffa and Tel Aviv tour and which will be launched shortly. Check the website, as well as the Facebook site for updates. Tel Aviv existed long before 1948.